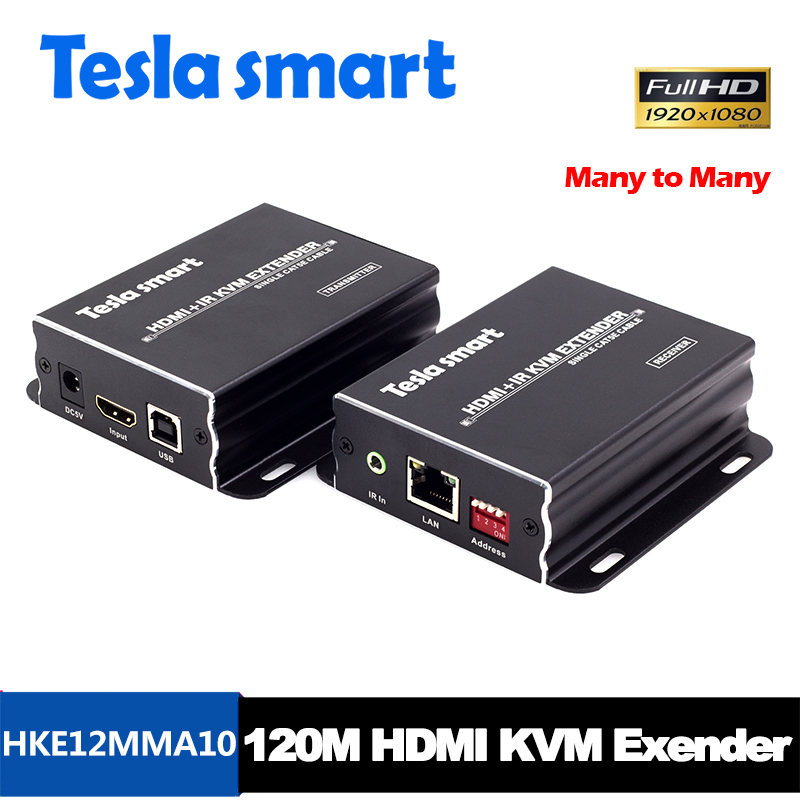 The 120M HDMI KVM Many to Many Over IP Extender with IR (HKE12MMA10) , support USB keyboard and mouse data, IR signal transmitted over a LAN (Local Area Network). 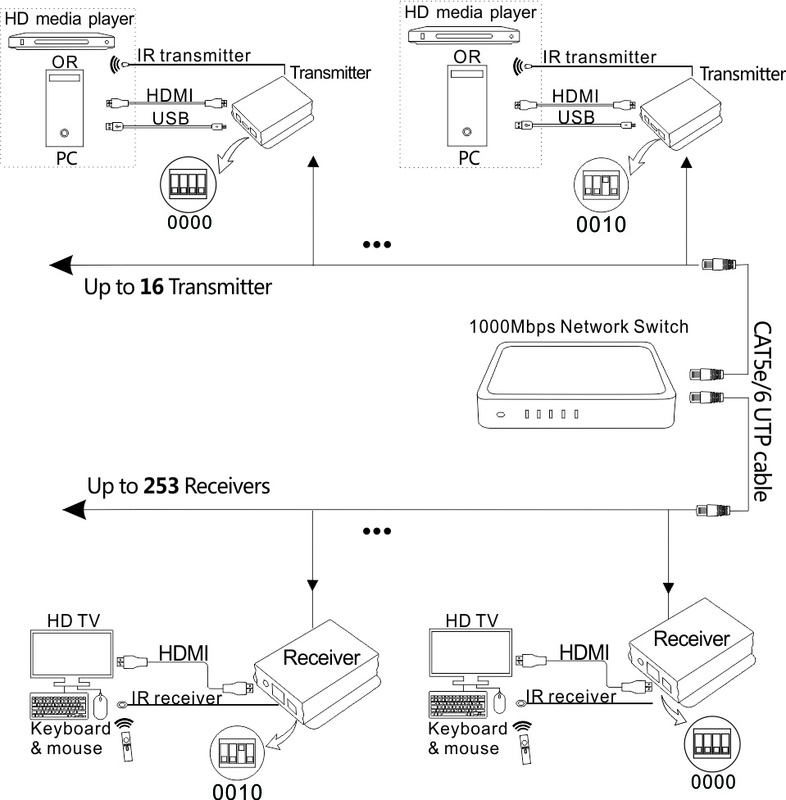 Support input resolution up to 1080P Full HD. 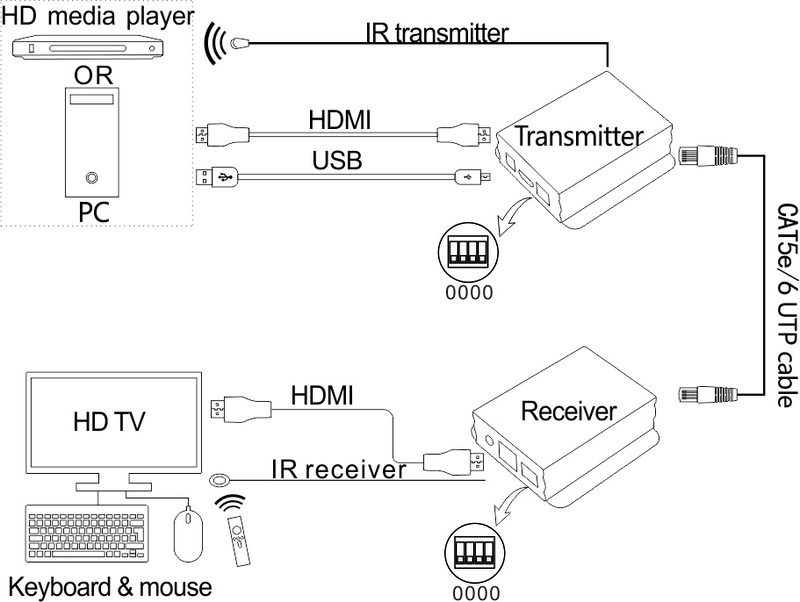 According to 1000M IGMP network switch, source content can be transmitted from several transmitters(Up to 16 transmitters) to several receivers (Up to 253 receivers) over LAN, and the transmitter can be controlled by either of the receivers in the same local area network by IR or USB keyboard and mouse. 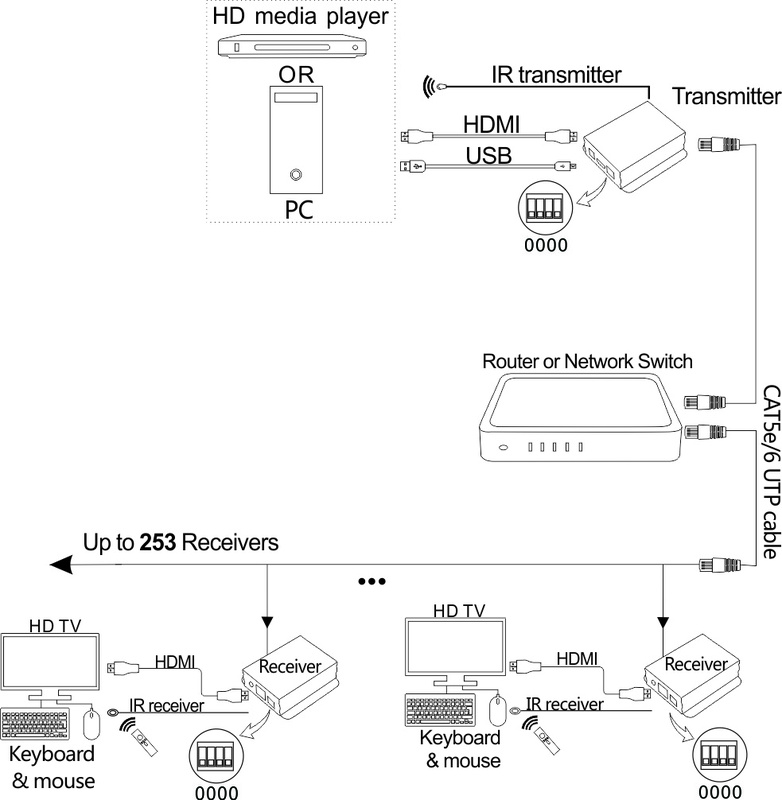 This product can be used on remote DVR for Security System, servers in data centre and monitor room.